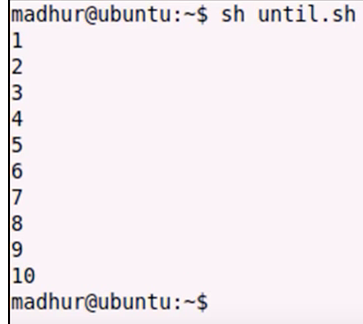 This post introduces how to auto run a shell script when your machine reboot. 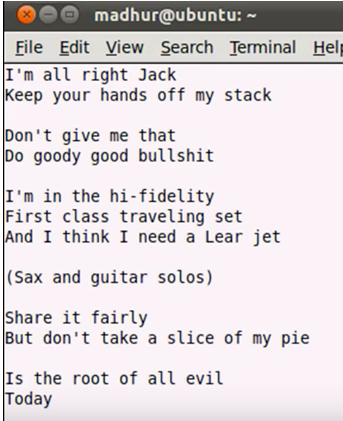 We can set a crontab for this. 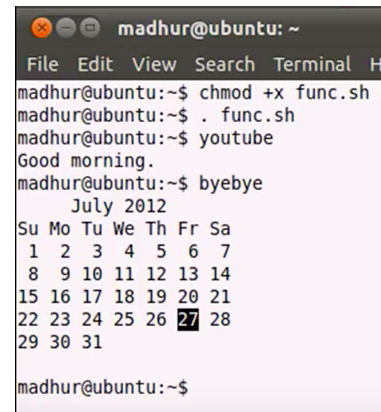 The crontab (short for “cron table”) is a list of commands that are scheduled to run at regular time intervals on your computer system. The crontab command opens the crontab for editing, and lets you add, remove, or modify scheduled tasks. 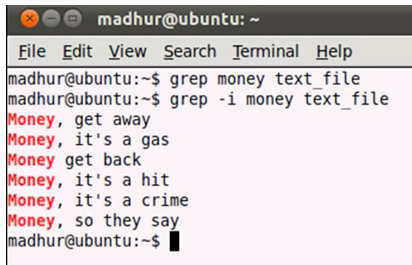 Just have a line added to your crontab. 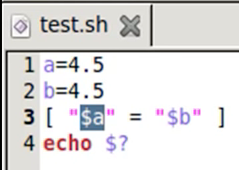 after every startup it will run the test.sh script. 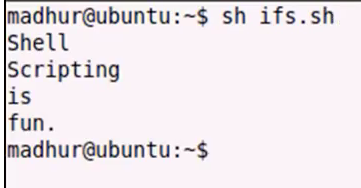 Use the following command to confirm that it is actually been set. # Display ("list") the contents of your crontab. 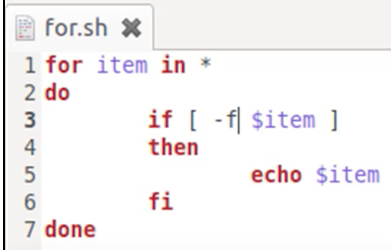 To see whether the app that the .sh starts is actually running, you can use ps -ef (check here for more details about ps -ef). 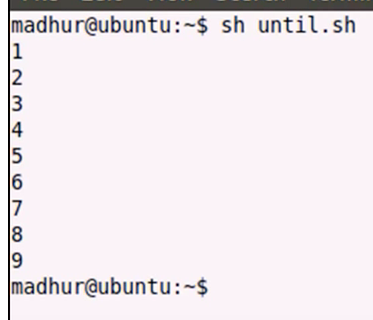 Reboot the server to confirm whether it all works. 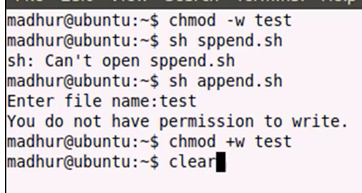 This post shows how to change permission and ownership from command line on Linux OS. 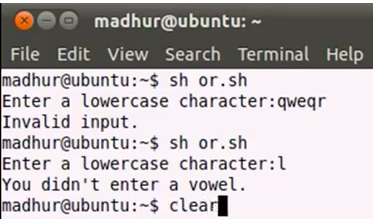 Use chown to change ownership and chmod to change permission. 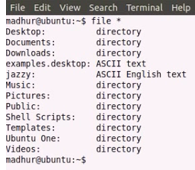 The -R option makes them change the permissions and ownership for all files and directories inside of the given directory. 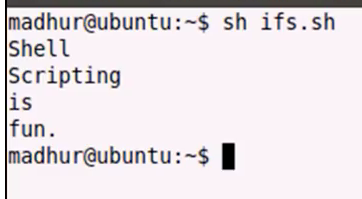 Note that you need to use sudo to change the ownership from root to yourself. 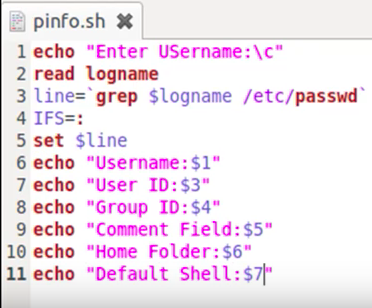 This post provides instructions on how to download files using Shell script. 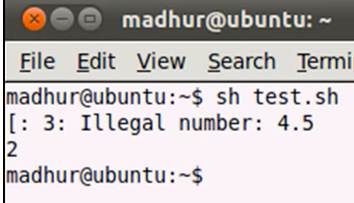 This post introduces how to find the IP address on your Ubuntu. 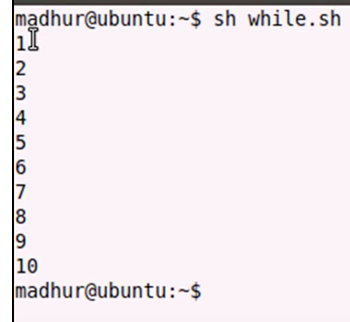 Open your terminal (CTRL + ALT + T), and then issue the following command. 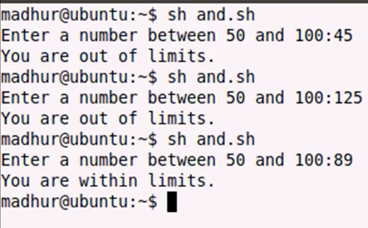 In this example, 10.0.5.25 would be your IP address. Note: press “q” to exit. 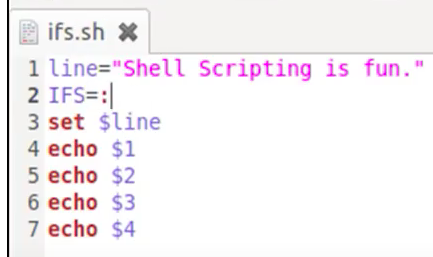 This post provides some pic notes for Shell Scripting Tutorials (a list of 62 short videos) . 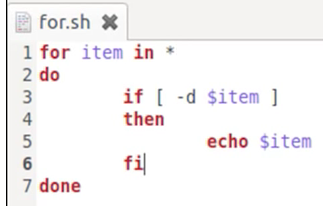 No capital letters in bash shell command (All should be in lowercase)! 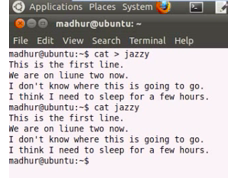 cat < test (shortcut cat test) — this will open an existing file called test and print its content in the terminal. 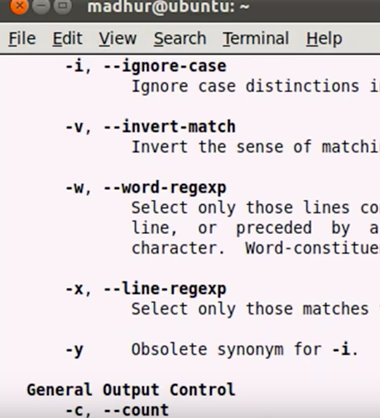 number of line, word, and charactor in the input file. 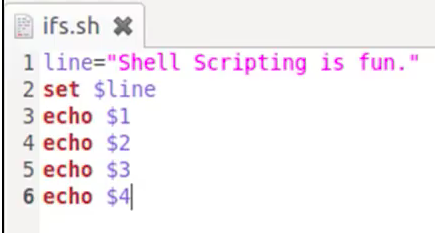 Shell Scripting Tutorial-16: Hello World! 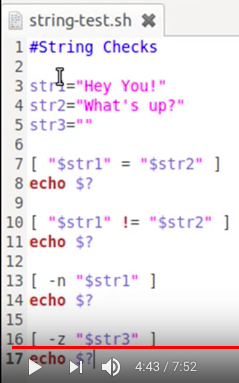 the output of $? 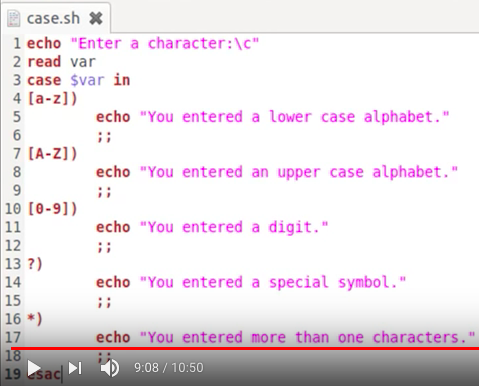 is 0 means the operation is true, if false, the output is 1.
because there is a new line symbol, so need to be -eq 2 for a character. 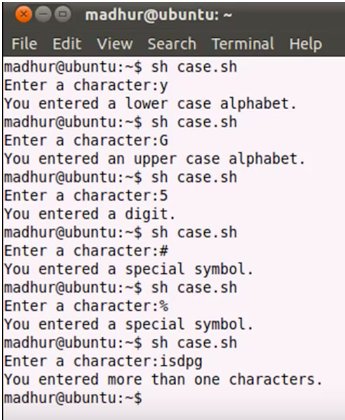 | — the pipe symbol tells the case not to end the case statement after checking [aeiou]*, need to check [AEIOU]* as well for the first case statement. Normally 0 is for success, 1 is for failure of the result of $? 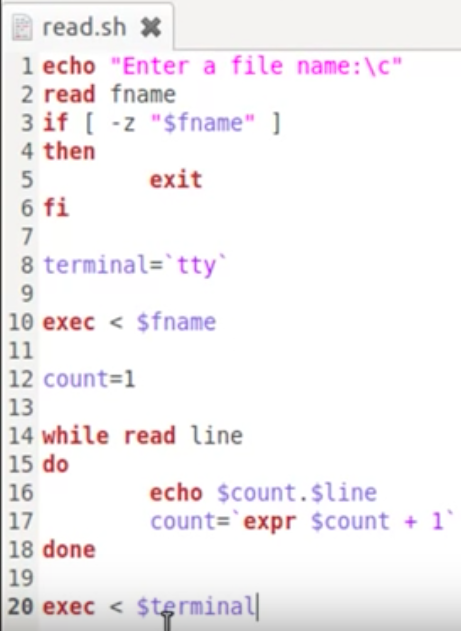 the default IFS is white space. 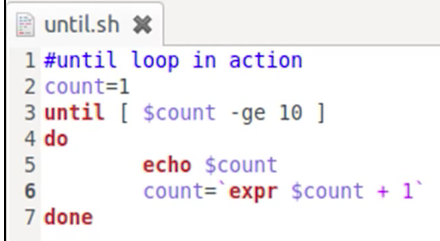 In this tutorial you’ll learn to iterate over contents of a text file using for loop. 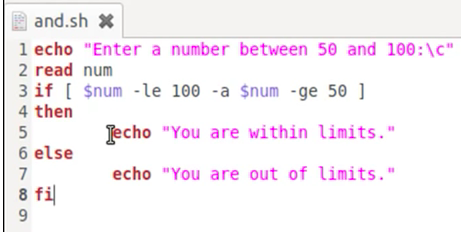 In this tutorial you’ll learn to use nested loops to print all possible combinations of digits 1, 2 and 3. 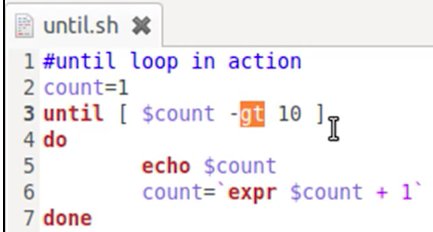 In this tutorial you’ll learn to use the break statement to transfer control from within the loop to the first statement after the loop. 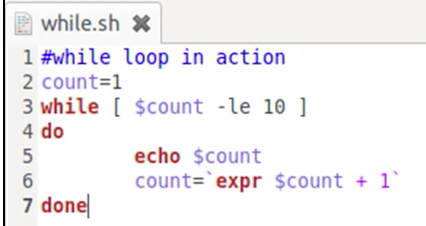 In this tutorial you’ll learn to use the ‘continue’ statement to skip iterations in loops. 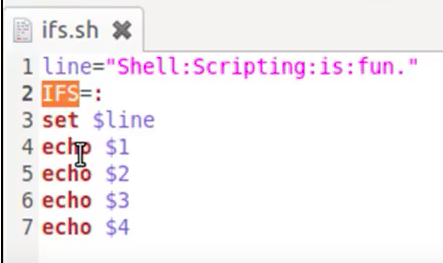 In this tutorial you’ll learn to execute multiple commands on a single line in the terminal without using a shell script. 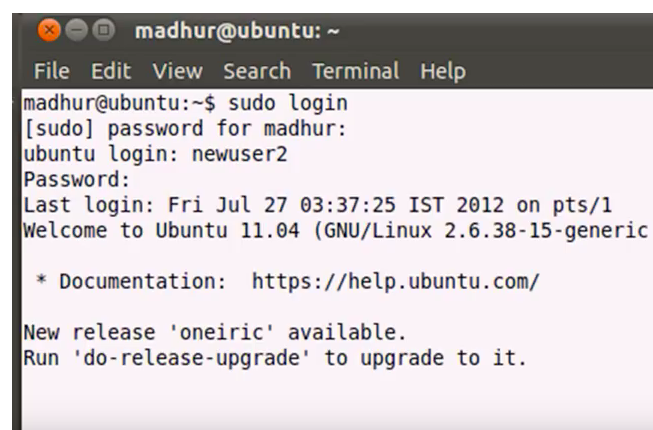 In this tutorial you’ll learn to add or remove users on the system, also we’ll check out the ‘login’ command to login through a user account in a terminal window. 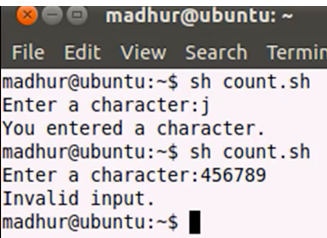 In this tutorial we’ll build a script that checks for a user every minute and then notifies us when it logs in and also displays the time the user was late in logging in. 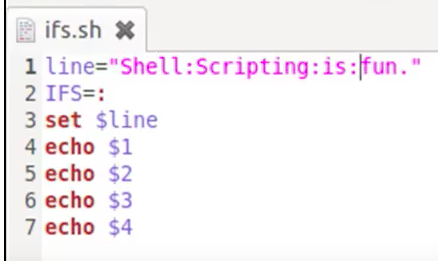 In this tutorial we’ll improve the script we built in the previous lesson. 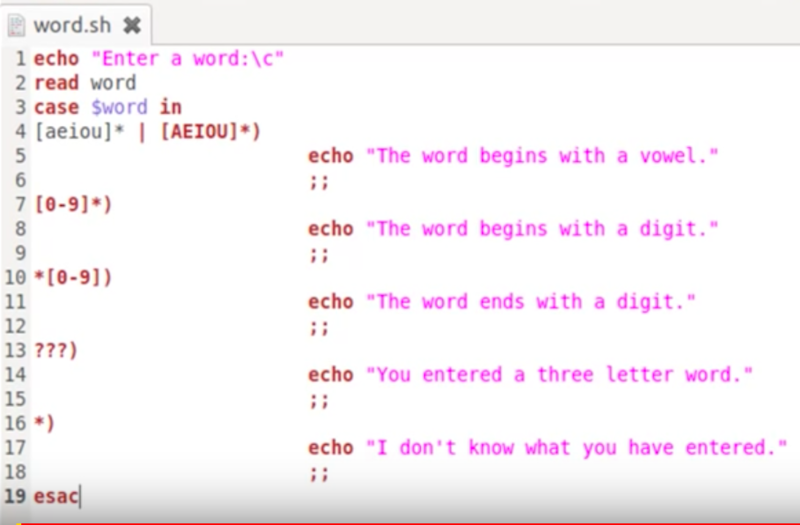 In this tutorial we’ll finish our work on the script we first met in the 56th tutorial. We’ll check every one second for the user and will also report time with greater precision. 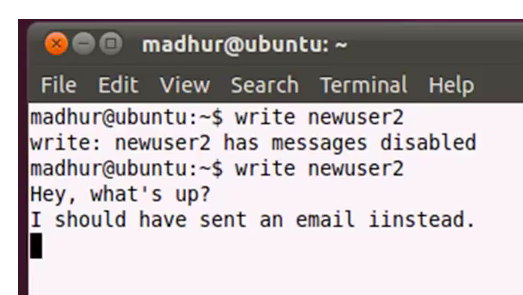 In this tutorial you’ll learn to send messages to other users on your system using the ‘write’ command. 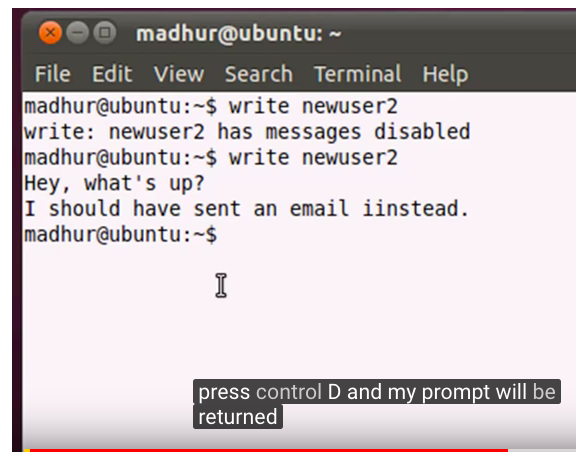 You’ll also learn to use ‘finger’ command to see which users who have disabled message reception and which have not. 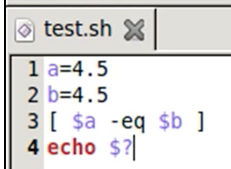 In this tutorial you’ll learn to create your own commands using functions. 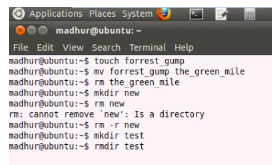 unset command to remove customized functions in terminal. 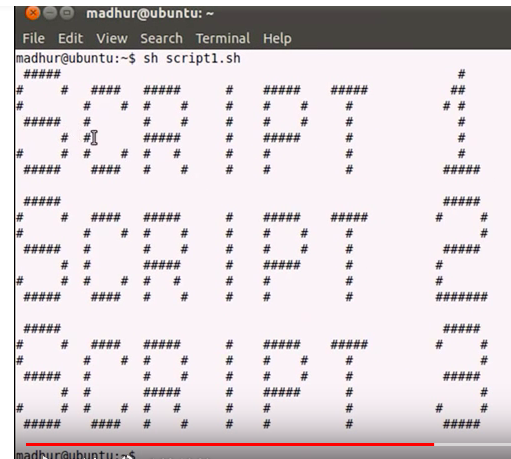 In this tutorial we’ll learn to execute a script from another script; not a particularly hard thing to do but I recorded a tutorial on it anyway. Thank you so much for watching the tutorials in this course. 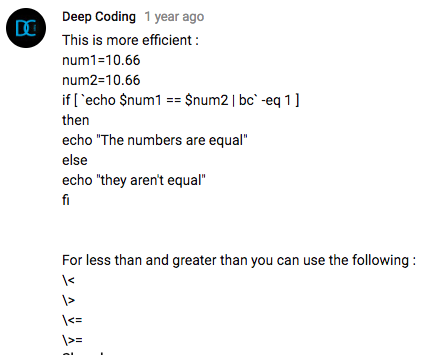 I hope you guys had as much fun watching the tutorials as I had recording them for you. 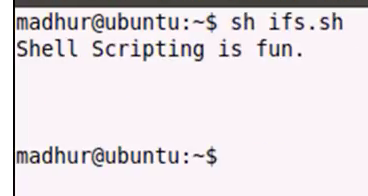 The END:) happy shell scripting! 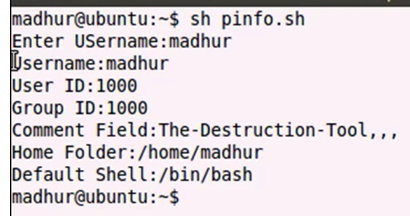 The bash ( Bourne Again Shell) is the most common shell installed with Linux distributions and Mac OS. 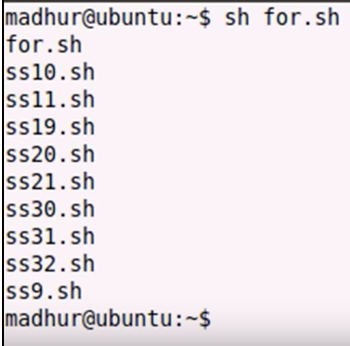 Bash Basics (A video playlist with 9 videos) — The Basics of using Bash in Linux with a focus on Ubuntu. $ means you logged in as a normal user. 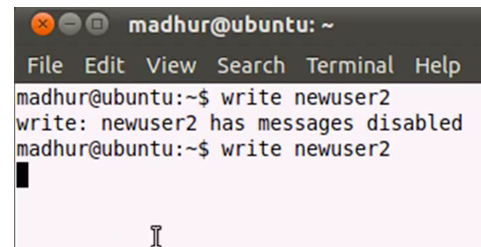 # means logged in as a root user. 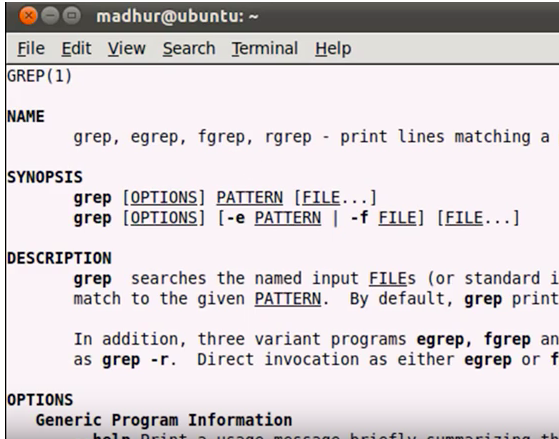 This post provides some GUI and command line tools to merge and split PDF files on Ubuntu and Windows. It is pretty simple and straightforward to use. If you try to merge pdf files that are encrypted, you will meet this error. Support for encrypted files has not been implemented yet. 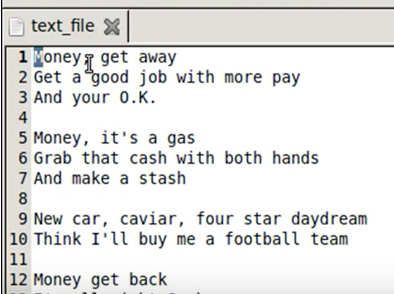 PDFtk is a simple and powerful command line tool for doing everyday things with PDF documents. 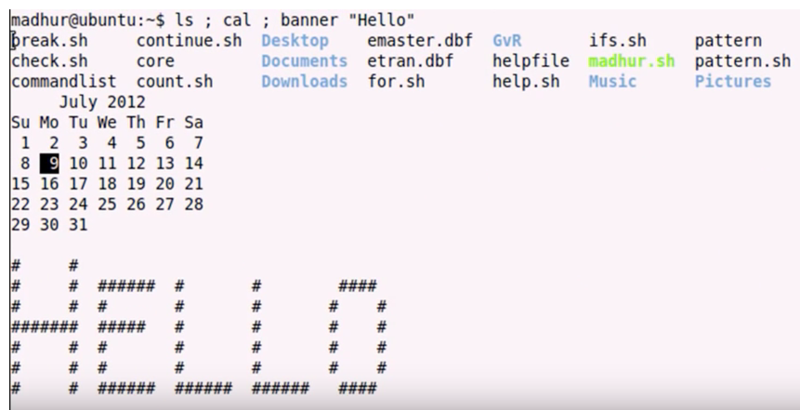 It comes in three flavors: PDFtk Free, PDFtk Pro, and the original command-line tool PDFtk Server. There is a simple GUI free versio for Windows users, see below for the info. If you are a windows user, you do not need to buy adobe pdf pro version to manipulate pdf files any more, see the link to download PDFtk free, it is a simple GUI package to use on Windows. See the picture below for a sense of it. 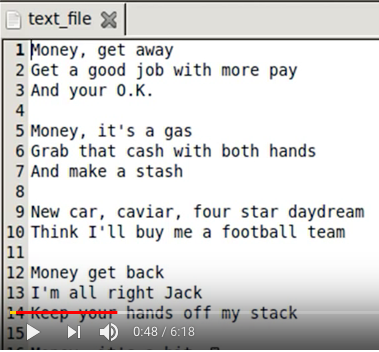 See below for examples of using PDFtk to manipulate PDF files via linux command line. This will extract pages 2 through 8 from in.pdf and save them as out.pdf. The input file in.pdf will not be altered. You can use any other page range in place of 2-8. Leave out the range to select the whole document. This will merge pages 2-3 from in1.pdf with pages 4-5 from in2.pdf into out.pdf. 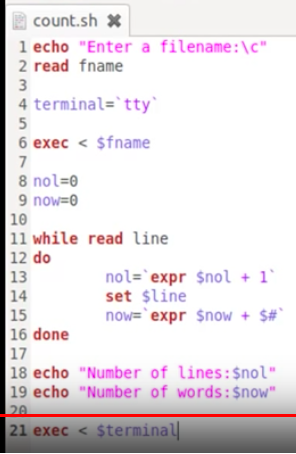 The backslash means that the input is continued on the next line. 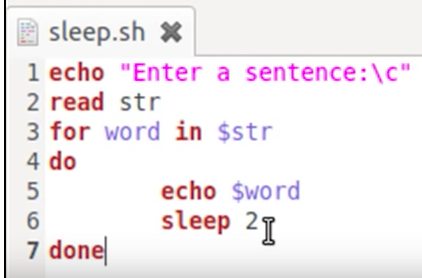 You can use it when you type in long commands, but you don’t have to. You can use this method to split a PDF in N ways, or to remove pages. 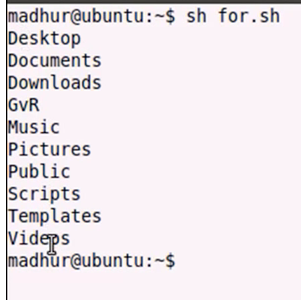 Or use it to rotate pages and many other things, type man pdftk in your command to see the options. 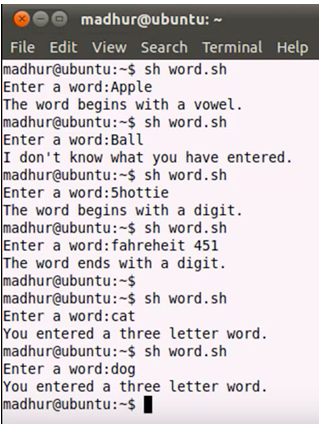 Installation is also possible by downloading a binary (Windows, OS X, Linux) or using Homebrew. Note that: for a large pdf file (1000+ pages) the performance of cpdf was much better than PDFtk. 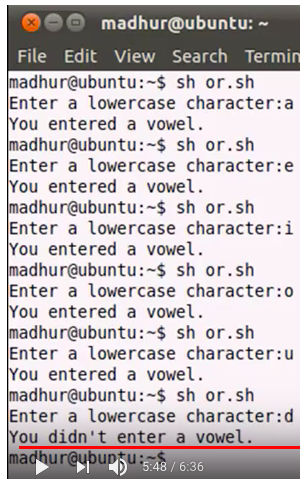 Sometimes you run up in a situation when you need to edit a PDF file on Linux. For example, when you need to go through an old report which was in PDF format and you saw some typos. 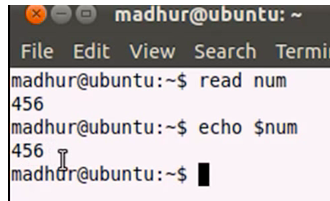 how to edit PDF files on Ubuntu? 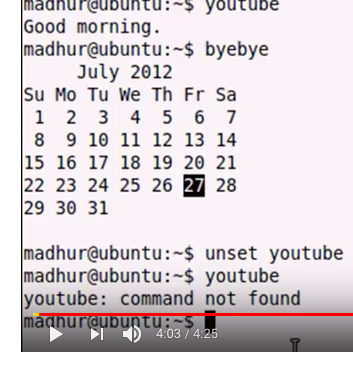 I remembered that I used a program called pdfedit but it’s not available on Ubuntu or in any other Linux distributions anymore. Things change now. In the past, we needed to use a dedicated application for this purpose. There are still plenty of tools to edit PDF files on Linux, but we don’t really need them, well not in most of the cases, because LibreOffice does the job for us. Surprised? 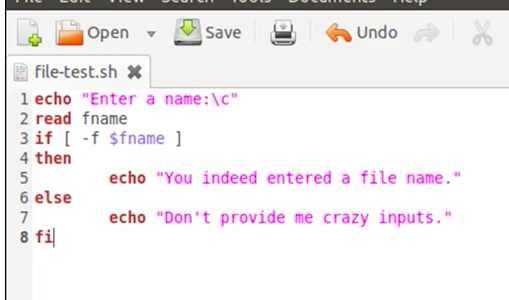 Yes, the popular Linux alternative to Microsoft Office can also edit PDF files. And perhaps this is the easiest way for editing PDF files. Most of the Linux distributions such as Ubuntu, Linux Mint, Fedora etc has LibreOffice as default office suite. If you do not have LibreOffice, you can install it. Once you have installed LibreOffice, Use LibreOffice Draw to open the pdf file to edit. You will see that the file is in editable mode. 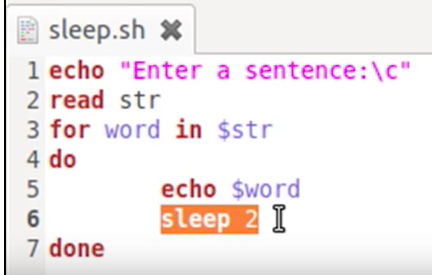 You can use the select pointer to choose which bit of text to edit. 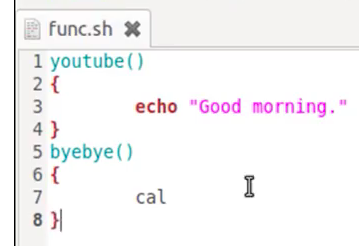 Just click on the text which you want to edit. For those areas that are no text, you will need to use draw tool (e.g., pencil, circle etc.) to add things. Once you are done with the edits, instead of saving the file (using Ctrl+S) option, click on Export to PDF button. If you are not finising the edit yet, but need to save the editted file, save it and it will be saved as a .odg file. Next time you would like to continue the edit, just open the .odg file, you will be able to continue your edits. It is pretty cool, right? We do not need to buy Adobe Pro version to edit pdf files any more. Limitations of editing PDF files with Libreoffice. This PDF editing does not work on scanned documents. The files which were originally created as text and saved as PDF can be edited very easily but it is not the case when you have scanned document because those pages are actually images. 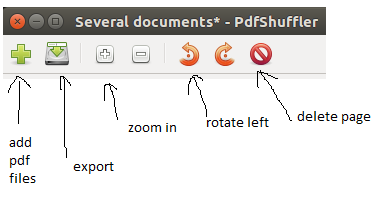 But you can use draw tools (e.g., pencil, circle) in the Libreoffice to add things like signature, tick sign etc, you just cannot edit the text part if it is a pdf file from scanning.